We often take our time here on Earth for granted. It’s not uncommon for many of us to procrastinate and push something off until tomorrow, especially if we are given tasks really don’t want to do. Theodore Roosevelt thrived on getting things done. 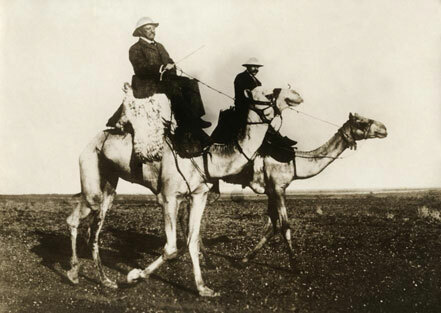 I believe Roosevelt was so driven because he was at his core an adventurer. As a child, his asthma forced him to watch life from his bed, his only respite being the books that his family would give him. TR would lay still and absorb each chapter as he gasped for valuable air to support his broken body. The books that he enjoyed most were those of adventure; stories about young men exploring great things. These were things he could not do, but dreamed of doing someday. Reading those books gave him desire, the most powerful driver for truly getting things done. His father told him when he was a teenager that if he were to survive, he would need to make his body like he had his mind and TR began to exercise his body as he exorcised his asthma. By the time he left for Harvard, he had proven to himself that he had the drive to overcome obstacles. He had worked hard to survive, so he understood better than most of us that life is short and we better attack each day as potentially our last. He would do so for the full 60 years of his life, “doing hard work at work worth doing”. As I travel and speak as Roosevelt I continue to contemplate his life lessons and integrate them into my own life. Recently, a friend accused me of living at such a speed that I was acting like I was about to die. I am as fit as a bull moose but also realistic that life is short and that we need to make the most of it while we are here. “The worst of all fears is the fear of living” – Theodore Roosevelt. Take today and start your own movement to live your life to the fullest.